Perfect for promotional messages on specialized products. 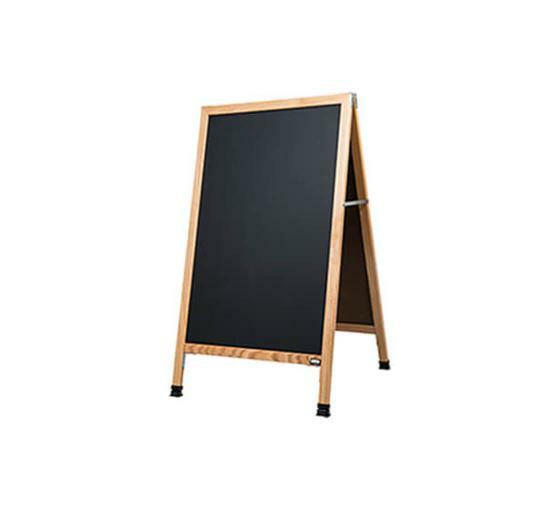 These chalkboard sidewalk signs are perfect for cafés and in-store advertisements. They can be changed easily as specials start up and menus change. In a larger store, a wood A-frame chalkboard sign can be used to advertise products and classes that may be available. The light weight construction makes this frame portable and can be easily moved to where it will have the most impact.